Instead of playing a kids' TV show on her smartphone, she turned on "The Alien Adventures of Finn Caspian," a serial podcast about an 8-year-old boy who solves mysteries in space. "I can't stand watching kid shows with her, but I can definitely get into some of the kid music or stories podcasts," Jude said. "There are such cool podcasts for kids these days." With all the warnings about the negative impact of screen time on children's weight, sleep patterns, and brain development, some parents are drawn to podcasts and smart speakers because they seem healthier. Thanks to a boom in kid-friendly podcasts and easy-to-use smart speakers like the Echo and Google Home, they've got plenty of content to choose from. Audio-based options range from educational to rock. The free "Stories Podcast" by startup Wondery features retellings of classic tales, such as Snow White and the Pied Piper, and original stories for kids. On NPR's "Wow in the World," hosts tackle fun scientific mysteries like, "What is a sea pickle?" In the podcast "Dream Big," second grader Eva Karpman and her mom interview athletes, artists, scientists and philosophers. Meanwhile, "Spare the Rock, Spoil the Child" is a music podcast of kid-friendly tunes that won't drive parents crazy. Seattle-based attorney and parent Heather Kelly -- no relation to me -- lets her children, ages 2 and 5, have up to an hour of screen time twice a week. But during the afternoons and on car rides, Kelly prefers podcasts like "Sparkle Stories" or an audiobook. "My kids enjoy screen time more because they get to see some of their favorite characters, who they're partial to, but a podcast is not a hard sell at all," Kelly said. Amazon says kids' audio-apps are the fastest growing category that works with its voice assistant Alexa. The retail giant has hundreds of kid-focused voice applications available in the US, and recently held a contest for developers to build new apps for children. The winning app, Kids Court, lets children settle arguments in an Alexa-run court while learning about the law. "Kids can be doing something with their hands [while listening to audio], such as playing or coloring, and be productive," said Dan Hinds, creator of the Stories Podcast and a parent himself. "In general, it's a more thoughtful experience." Nick Newell, a tech worker and dad in the San Francisco Bay area, uses his Amazon Echo to help manage his five-year-old son's screen time, asking Alexa to turn the TV off or set timers. 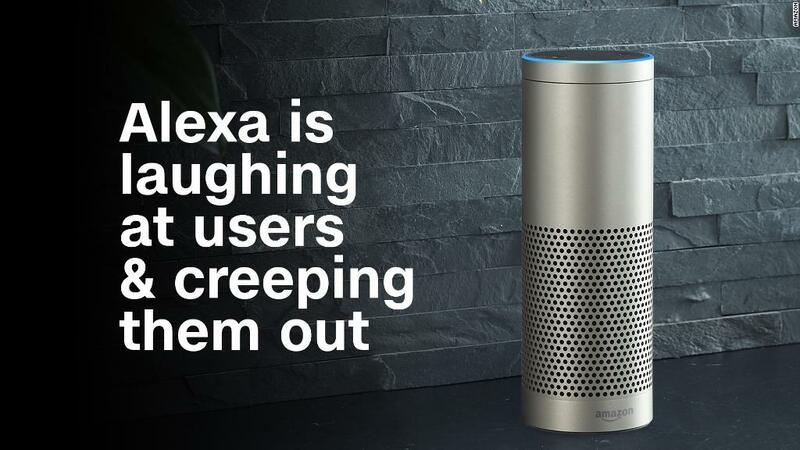 "Somehow Alexa gets more respect and has more control of my kind's actions than my wife and I when it comes to screen time," says Newell. They use Amazon Music and Spotify to replace Disney movies with soundtracks: "More often than not, getting away from the TV means turning on the music, dancing, and butchering the lyrics to a Disney favorite." 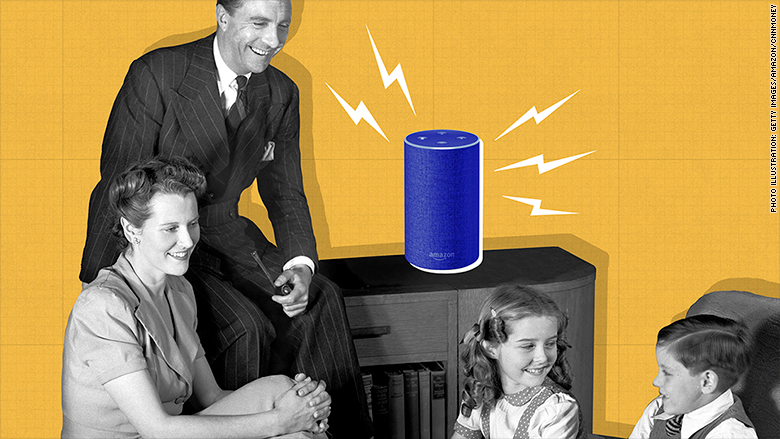 Dr. Jenny Radesky, who helped write the American Academy of Pediatrics' guidelines for screen time, thinks there may be advantages to audio content but is skeptical of smart speakers. The guidelines include recommendations for holding off on screen time until 18 months of age, and not using media as a way to calm children. "When you let technology become the de-facto parent like reading stories or setting a timer for your child, you are really deleting some of the most important — and sometimes boring — parenting rituals that create a really important foundation for your child," said Steiner-Adair, who wrote the book "The Big Disconnect: Protecting Childhood and Family Relationships in the Digital Age." Kids can speak to Alexa or Google Assistant anytime, but the companies have added some additional options for parents of users under 13. Both platforms let you create profiles for individual users and turn on some parental controls. And parents must consent to having Amazon and Google collect data from kids before using children's apps. Adva Levin, the developer behind the Kids Court app, says children have a different way of interacting with voice assistants and often don't need stories or games to happily interact with smart devices and assistants. "When you introduce them to kids, they started asking her a lot of personal questions: 'Alexa, will you be my friend? Alexa, how tall are you?,'" Levin said. "They know it's not real, but there's a really good suspension of disbelief with kids."